Sure, lots of our interactions with clients happen over the ol' interwebs these days, but let's not discount some old-fashioned face-to-face communication! If you need to book a client on the spot—or even if you just need to help a client out with booking on your end—you can complete a booking on their behalf within HoneyBook. 1. Find or create the Project that will be booked. 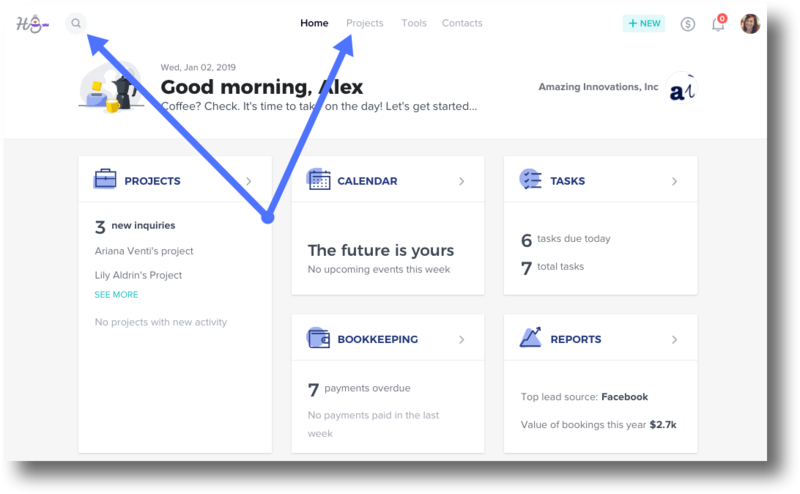 Find a Project: search via the search icon in the top left corner of your Home page, or select the Projects tab to review your full list of Projects. Create a Project: learn how here. 2. Create the file you'll be using to book, or find the existing file you'll be booking by selecting the Files tab, then clicking to open. 3. Once in the file, scroll to the bottom and click Book in Person. 4. 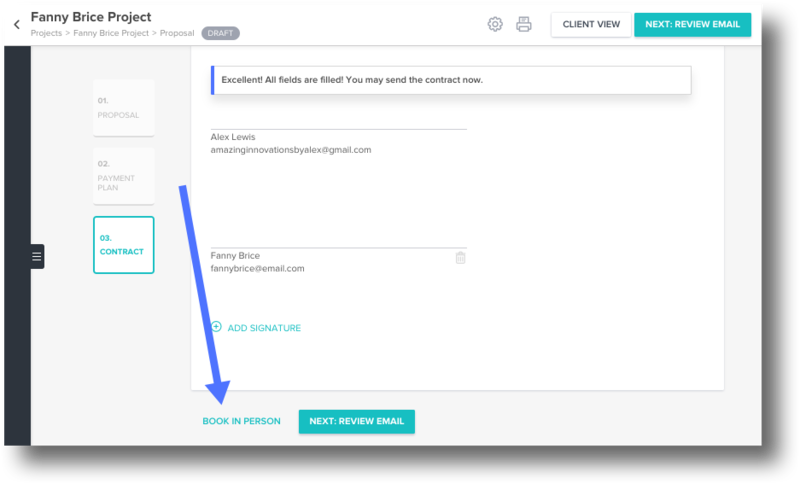 Click Send Code to send a verification code to your client. They'll receive this code in their email. 5. When prompted in HoneyBook, enter the verification code that your client received. This will log you into HoneyBook as your client. 6. Now, your client can sign and/or pay right there, or you can enter the information for them! PLEASE NOTE: At the moment, booking in person is only available on desktop.